Most of the princesses can't find new fashion ideas for autumn. Still, Ice Queen feels super inspired by this colorful season. The princess is admired by all of the other girls at school, because she has an unique style. That's why she decided to make an autumn look book. Still, she may need a bit of help! 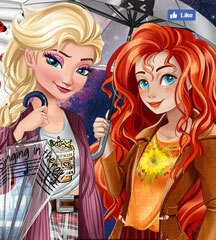 Join Ice Queen in the dressing room and help her mix and match the clothes and accessories! You can also do her hair. 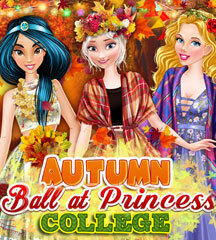 Explore all the options and create the perfect look for school, for a walk in the park and for a romantic date. Enjoy the game!